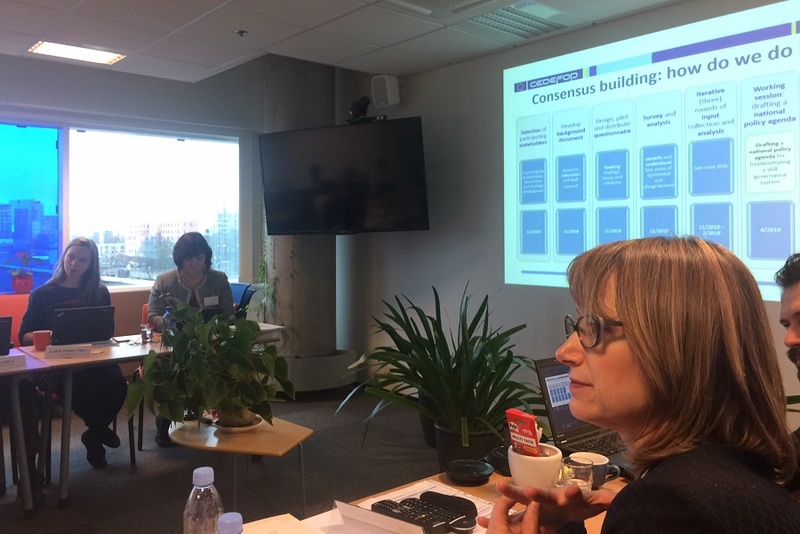 Cedefop launched a skills governance review in Estonia on 29 January. National stakeholders came together in Tallinn to learn about the project and discuss possible priorities it can address. A delegation headed by Cedefop Head of Department for Skills and Labour Market Pascaline Descy presented the analytical framework the agency uses in all skills governance country reviews. The Estonian is the fourth thematic country review after reviews in Greece, Bulgaria and Slovakia started in 2017. Estonia asked Cedefop to review its skills governance system to help the country further develop the OSKA forecast system. OSKA combines labour market projections with qualitative insights from sectors and other sources. The launch meeting was hosted by the institution in charge of OSKA, the Estonian Qualifications Authority. Before the event, the Cedefop delegation met briefly with the Deputy Secretary General for Planning at the Ministry of Education and Research Ivar Sikk.